My garden continues to produce plenty of tomatillos and when paired with fresh sweet corn, cilantro and seasonings, it makes a wonderful salsa. I’ve also used it to top my favorite Papusas from the Farmer’s Market. It wold also be wonderful paired with chicken or fish. A new favorite! In a large skillet, combine the corn kernels and jalapeño peppers. Cook and stir for 10 minutes, until the jalapeños are soft. Add the tomatillos, green pepper, onions, lime juice, water and coriander to the corn and jalapeño mixture. Bring to a boil. Reduce heat and simmer for 5 minutes. Remove from heat. Cool. Stir in cilantro. Cool salsa in the refrigerator until ready to eat. 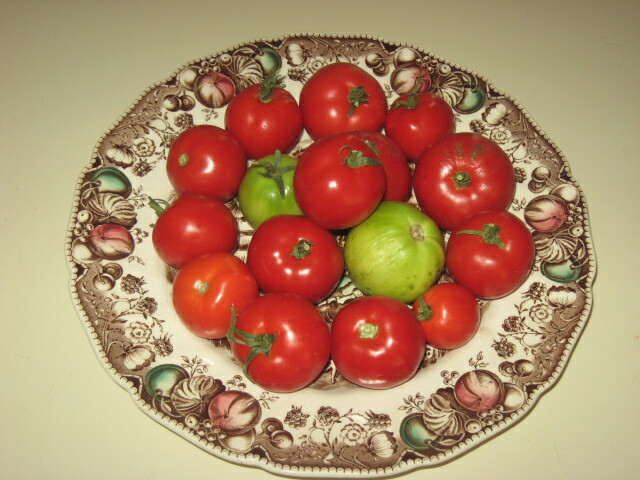 Last year was the first time I ever planted tomatillos plants in my garden. While my tomatoes struggled last year, the tomatillos went crazy and they are even crazier this year given all of the summer rain in Colorado. 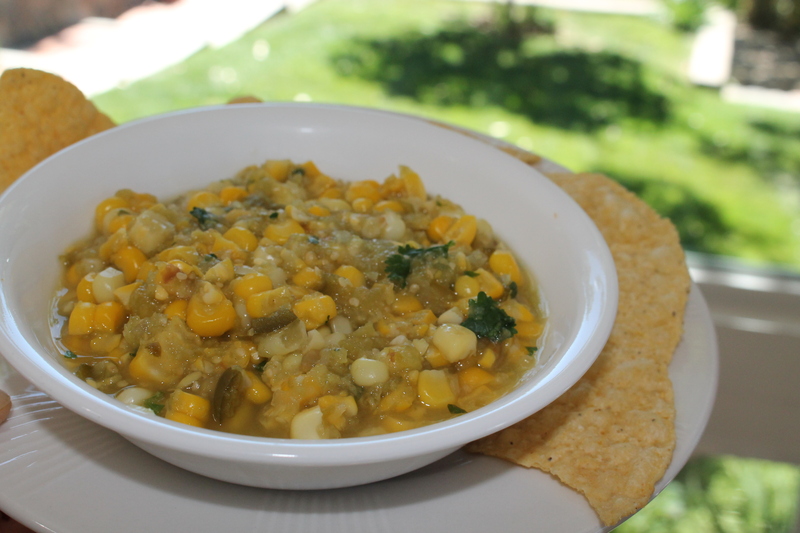 My first try at tomatillos salsa went the easy – route and it was delicious. I froze a few bags for winter enjoyment, too! I plan to branch out this year and try a few other recipes, too! Chop the tomatillos and the jalapeño. In a blender or food processor, combine the tomatillos, jalapeño, cilantro and 1/4 cup water. Process to chase puree, then scrape into a serving dish. Stir in the chopped onion and salt. 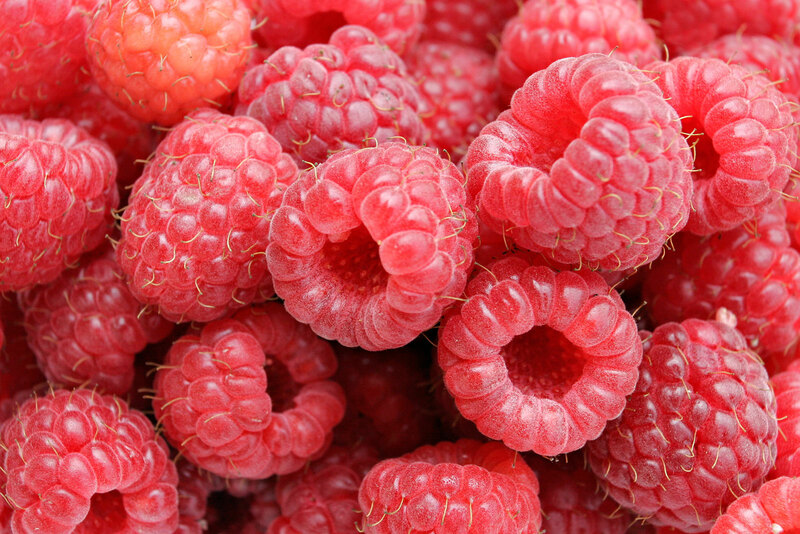 Raspberries have always been my favorite fruit. My Mother grew red and black raspberries on the farm. When we moved into our home in 1988 we, too, planted red raspberries in our yard. Very few raspberries make their way into the house, instead being consumed right there on the spot. Through the years I’ve tasted several wonderful commercial raspberry salsas and it was time to make one from scratch. Several recipes call for tomatoes but I’m a raspberry purist and didn’t want to ruin the tart, tangy goodness of fresh raspberries. 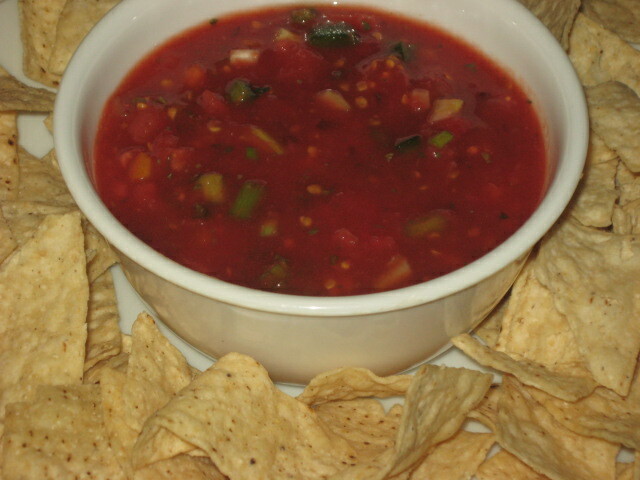 The salsa was good with tortilla chips (I’m thinking a cinnamon chip would be great with it!) and as a side to fresh grilled salmon. The salsa would be wonderful with a grilled or broiled chicken breast as well. Combine raspberries, sweet onion, jalapeno, garlic, cilantro, white sugar and lime juice. Cover and chill in the refrigerator at least 1 hour before serving. Optional: Mash berries slightly before chilling and garnish with whole raspberries. My brother and his wife told me about this dish 20+ years ago and I collected the recipe but never made it…until…this summer. I had the great fortune of attending a yoga retreat in Copper Mountain Colorado this summer with wonderful gal pals. Our friend, Sue, made this dish for dinner one evening served with a salad and fruit and VOILA…it was a hit. This dish is so easy and so tasty….my mouth is watering. My grown daughters and significant others are also in love with this dish that can be served for breakfast, lunch or dinner. Only three ingredients. Can you believe it? You won’t be disappointed! Grease a pie plate. 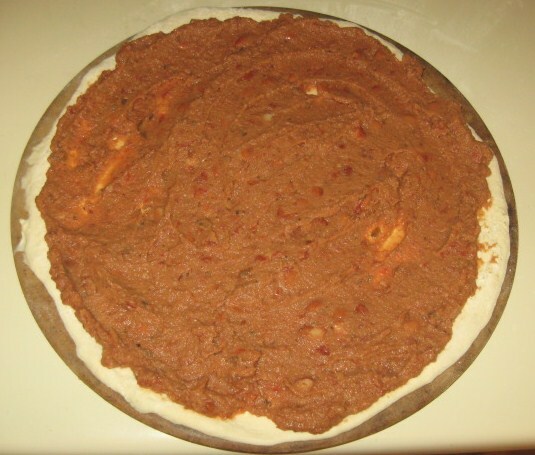 Spread chiles in bottom of pie plate. Shred cheese and spread over the chiles. 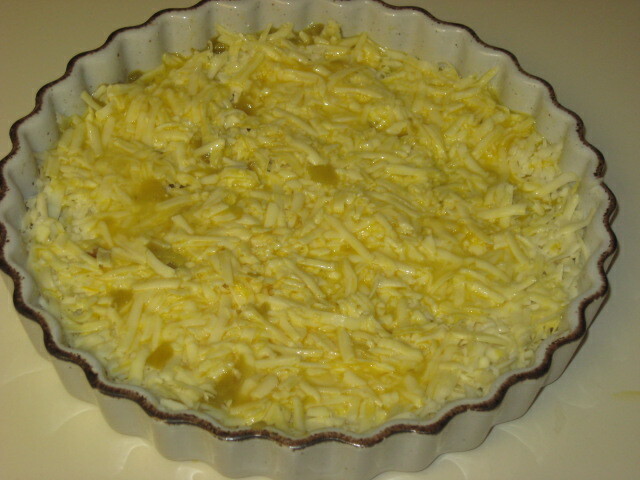 Beat 4 eggs and pour evenly over the cheese. Bake at 275 degrees for 1 hour. Cut into wedges or squares and serve with any of the folowing: salsa, sour cream, fresh cilantro, guacamole. My dear sweet friend and neighbor, Maribeth, made this dish for our family the summer of 1997. We had several family members in town and they were crazy for this dish. My step-daughter Karen, even had the leftovers for breakfast the next day. It has since become a family favorite, any time of year. 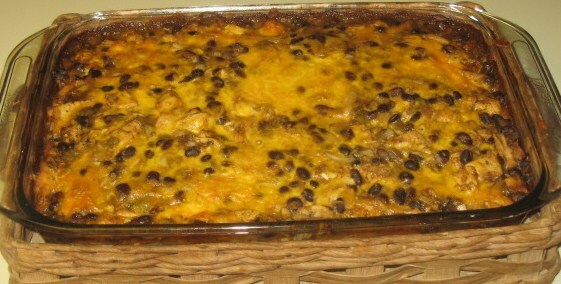 After Thanksgiving, I freeze any leftover turkey to use specifically for this casserole. Leftover chicken would work equally as well. 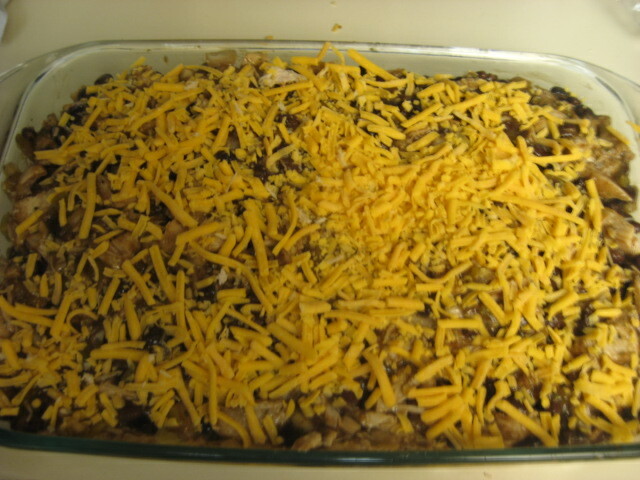 I often make the casserole the day before and let the dish rest and enhance the flavors. 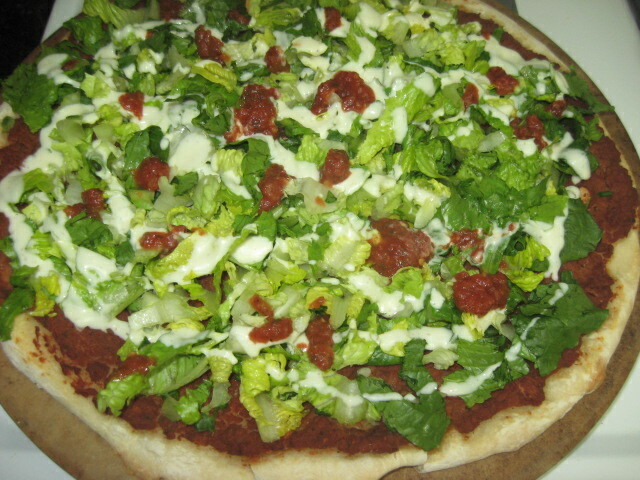 This would be a great dish for Super Bowl parties! 1. Preheat oven to 350F. Set aside 1/2 cup black beans. 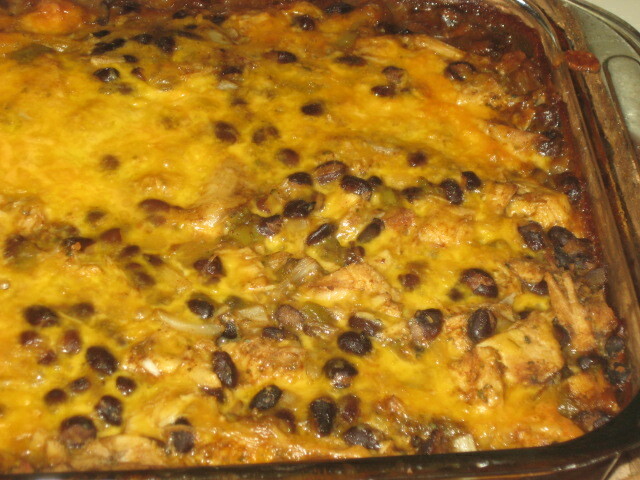 Combine turkey, remainder of black beans, onions, chiles, soup, stock, garlic and spices. 2. 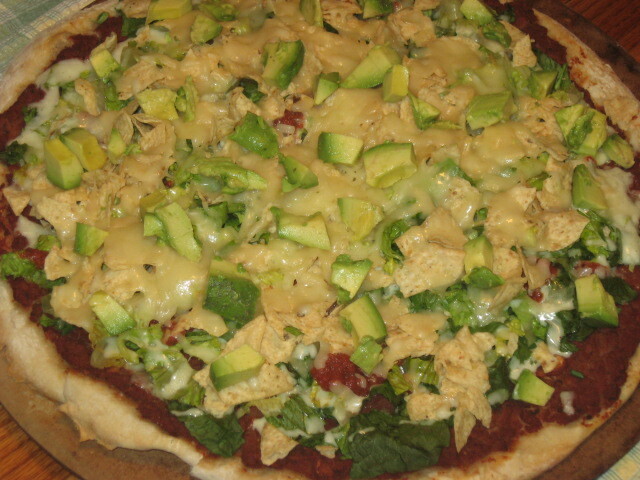 Layer 12 tortilla halves in 9×13″ pan. 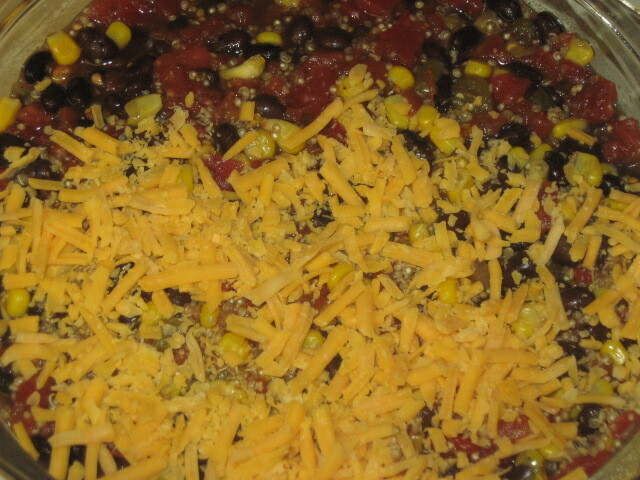 Cover with half of mixture, sprinkle on half of cheese. 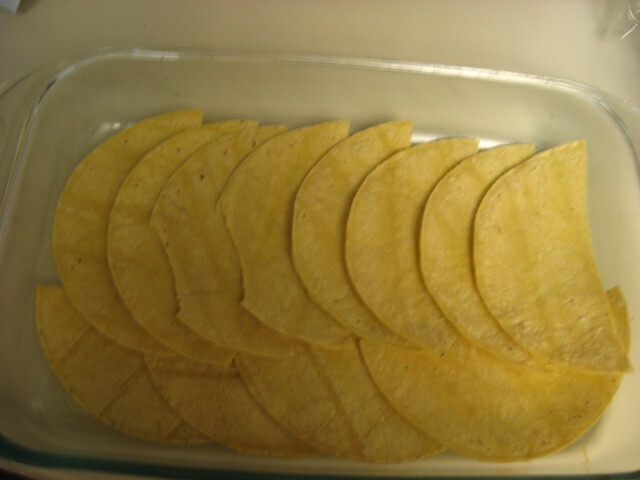 Repeat layers of tortillas, mixture and cheese. 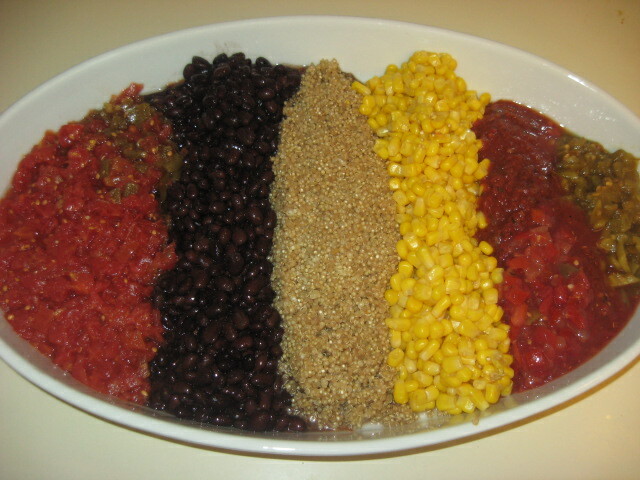 Sprinkle reserved black beans across top. 3. Bake 45 minutes until cheese is brown. 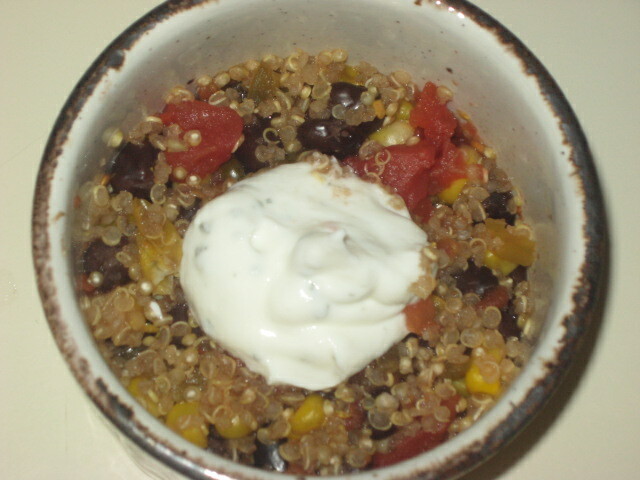 Serve with sour cream and salsa. Freezes well if you are lucky enough to have leftovers!